What types of compunds are we creating? Before begin these equations, what was the first step the author did? What is the name the author gave oxygen when it has a charge? On the periodic table, what does the 'staircase' mean? What is the combination that makes up ionic compunds? How did the author determine the chrage of the elements? What is the charge of Lithium? 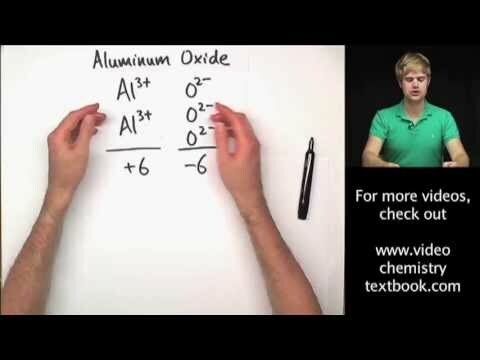 Why do the charges of lithium oxide not balance? What are the chemical symbols for potassium and nitrogen? When thinking of ionic compounds, what is something that you must consider before balancing the equation? Are the charges for Potassium Nitride balanced? What group or column is Cl in? What is its charge? According to the narrator in the video, what is the first mistake that people make when writing these formulas? Do we have charges in in ionic equations?